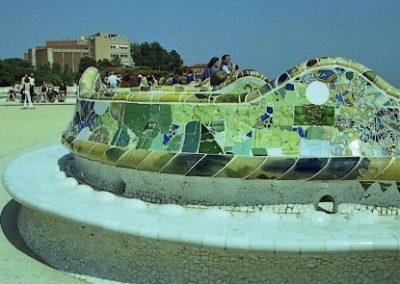 The big square is placed directly above the colonnade and limited on the city side by the famous undulating bench. This bench is a marvel of shape, color and contrasts. 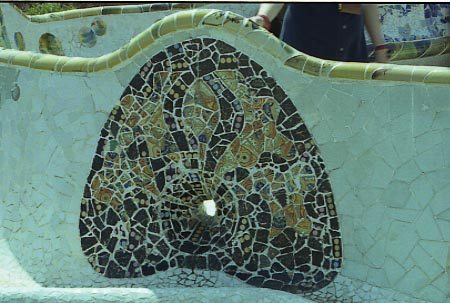 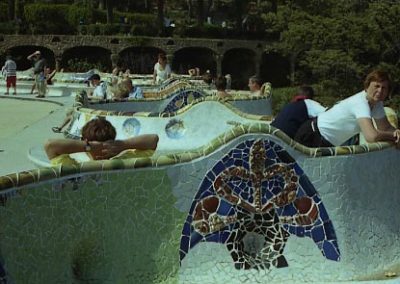 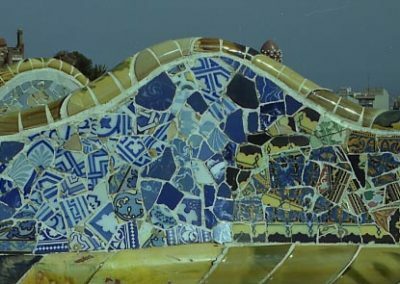 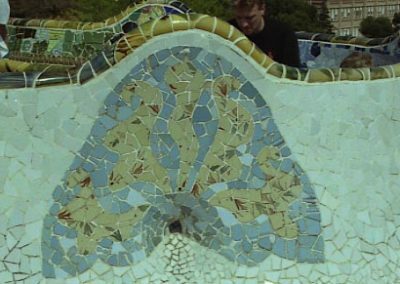 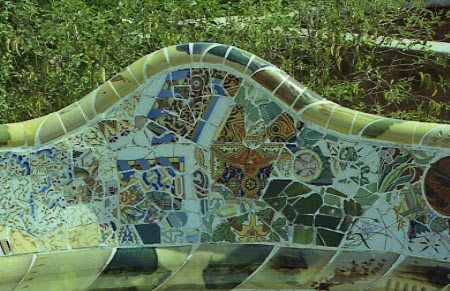 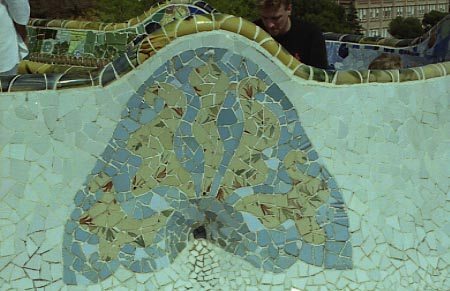 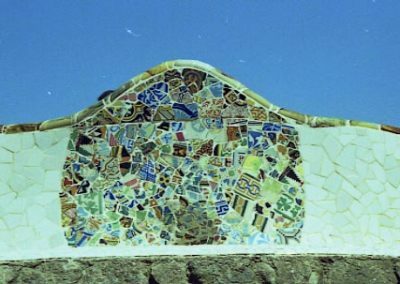 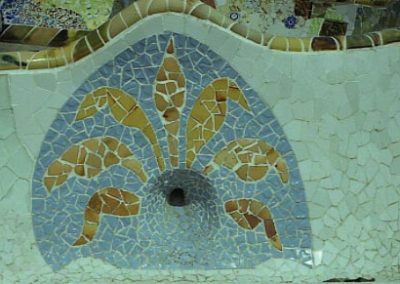 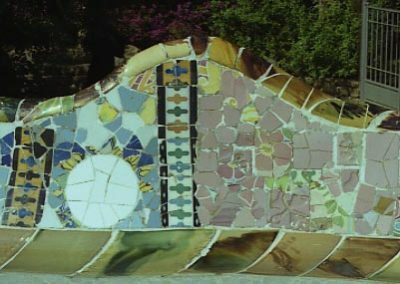 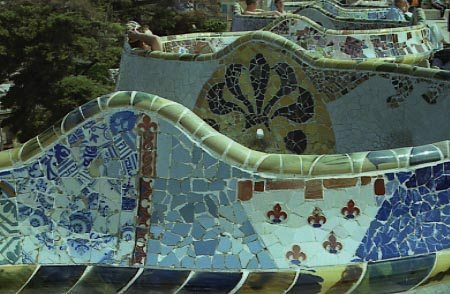 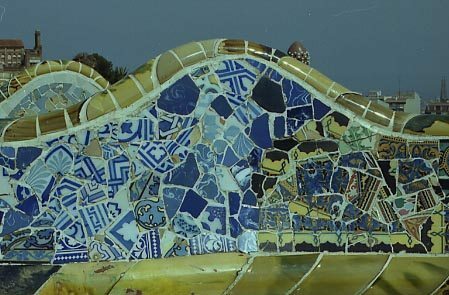 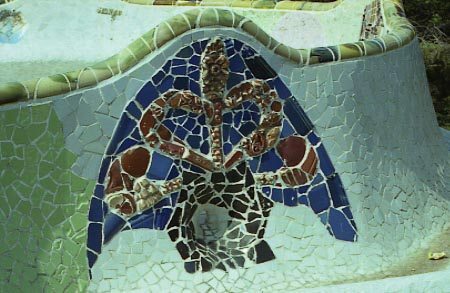 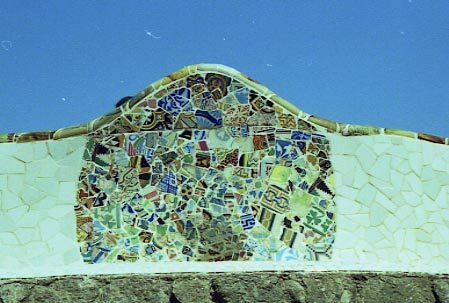 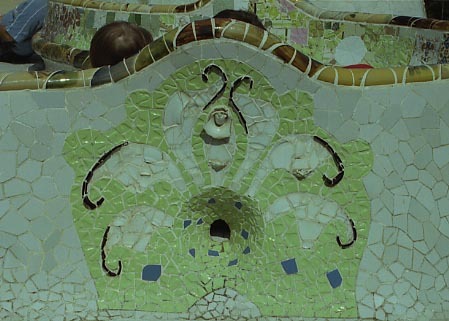 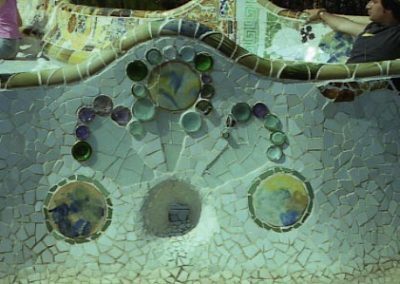 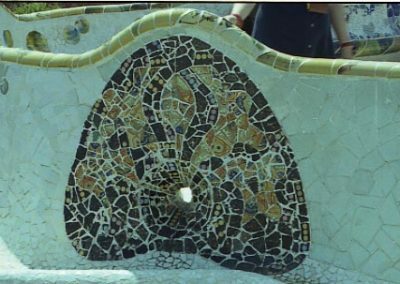 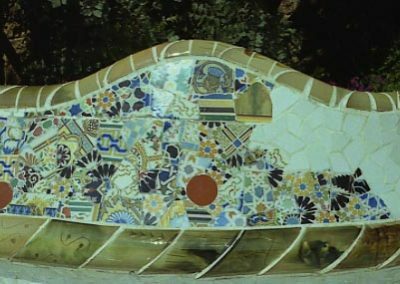 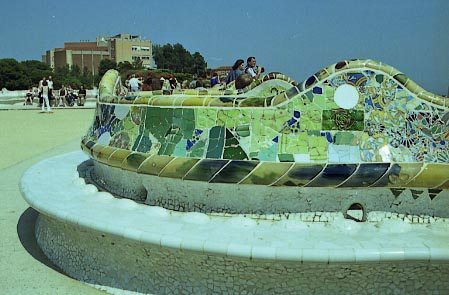 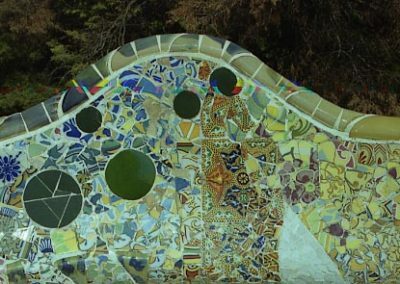 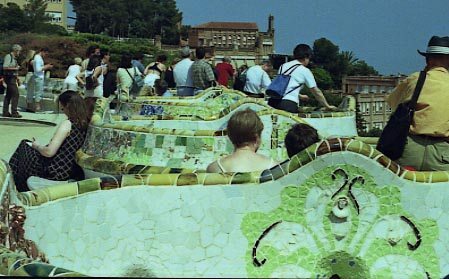 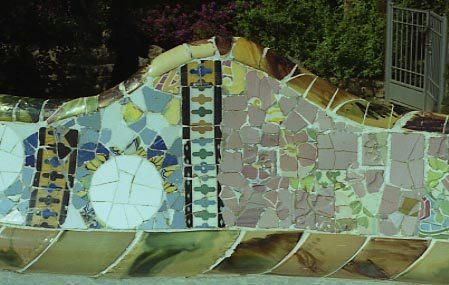 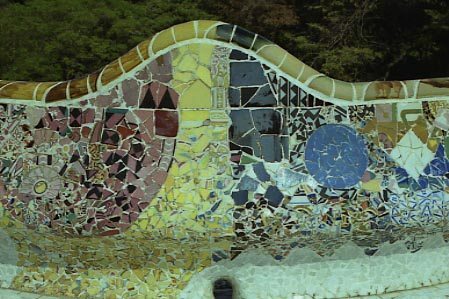 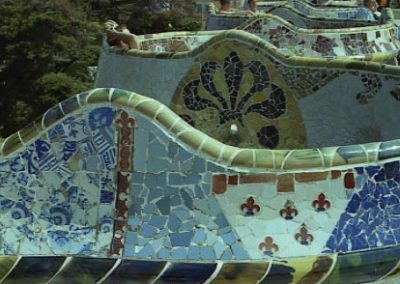 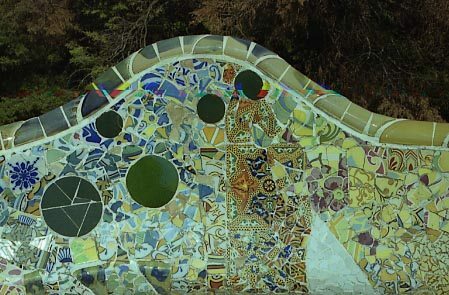 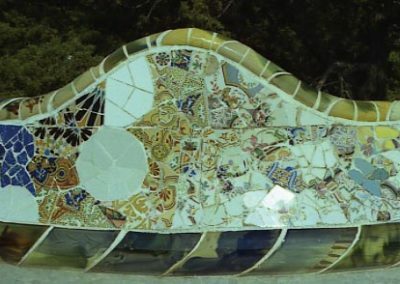 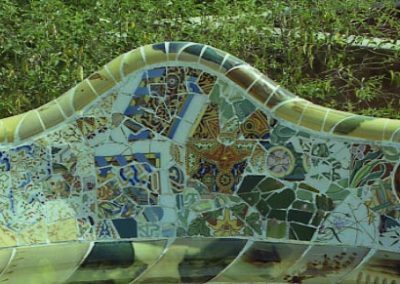 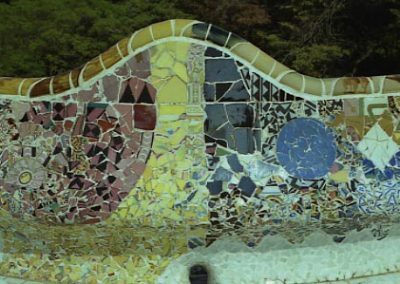 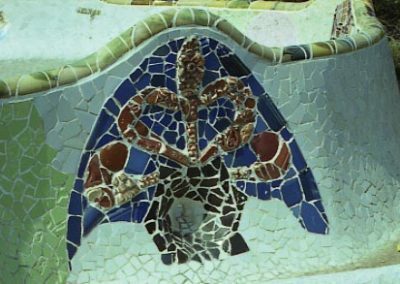 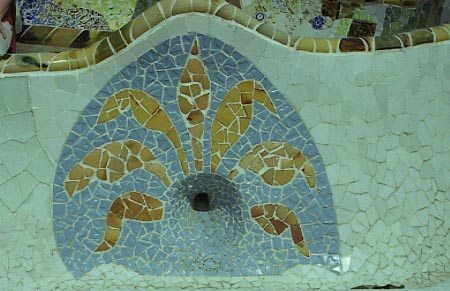 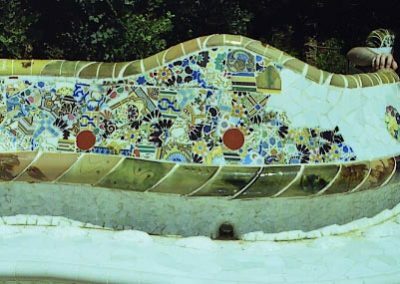 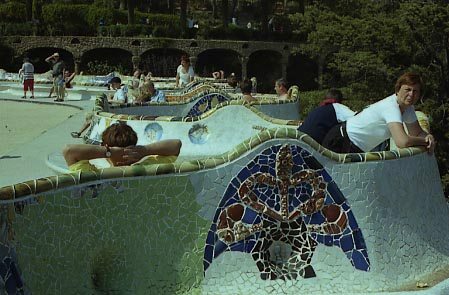 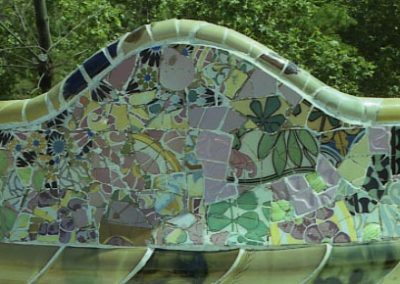 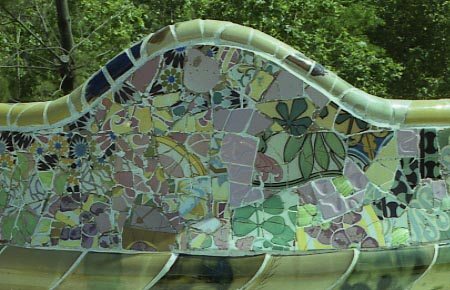 To develop that work, Gaudí was assisted by the architect Josep María Jujol, a specialist in the design of “trencadis” (decoration with broken ceramic). 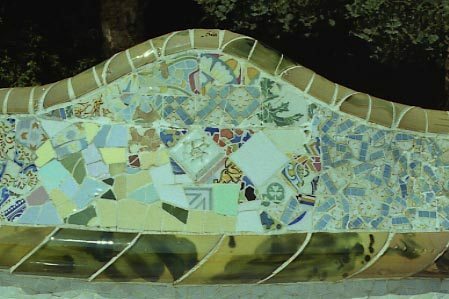 That bench looks like a giant collage. 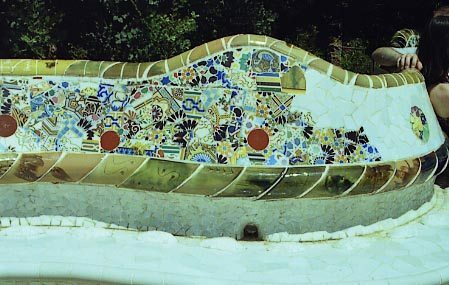 Unfortunately some parts of the bench were destroyed because vandalism and are now substituted by white ceramics, after a conscientious reformation, but…better to speak about is to see it!.